3rd July update - We are pleased to announce that the government is a step closer to restricting the sale of puppies to licensed breeders and the end of third-party sales. This has been a hard-fought campaign, and without your invaluable support, we do not believe that we would have got to this position. The Environment Secretary, Michael Gove, was interviewed by ITV News and said that campaigners made "a compelling case". We are not there yet, but we are reaching a point where the government is looking to introduce legislation to reduce the suffering of puppies at the hands of unscrupulous dealers that put profit before welfare standards. Please continue to write to your MPs, and thank them for listening but to not lose sight of our campaign goal: the introduction of a third party ban. In February 2018, Environment Secretary Michael Gove laid legislation before Parliament that would improve the welfare of dogs and puppies in England and Wales. Although we welcomed these much needed and long-overdue improvements to the licensing of dog breeders and puppy sellers, Naturewatch Foundation and our supporters have been calling for an end to third-party puppy sales. With adequate measures in place to ensure effective enforcement, we believe a ban on third-party sales would be the single quickest and most effective way to end cruel puppy farming. Cutting out the middleman, enabling puppy buyers to view the conditions a puppy was bred in, meet the mother and engage directly with the person who bred their new puppy, will protect both dogs and consumers. Therefore, we were pleased that Defra invited evidence from stakeholders and experts on the effect of introducing a ban on third-party sales of puppies and kittens in England. The consultation closed on 2nd May 2018 and the government is currently analysing the feedback. The issue was debated in Westminster on the 21st May 2018 and a recording is now available. Naturewatch Foundation will be keeping a close eye on the outcome of the consultation which is due out later this year. Although hope is on the horizon, it’s important that supporters continue to lobby MPs to support a ban on third-party puppy sales. You support a ban on third-party sales of puppies as you believe it’s the one measure that would be the single quickest and most effective way to end cruel puppy farming. A ban on third-party sales is supported by numerous animal welfare experts and organisations including the Kennel Club, RSPCA, IFAW, HSI, Naturewatch Foundation and veterinarians. Banning third-party sales of puppies would close the door to illegal imports of puppies from elsewhere in Europe. Defra’s own advice to the public is to never buy a puppy away from the environment it was bred in, or without the mother present. Therefore, to not ban third-party sales would be the very definition of hypocrisy. 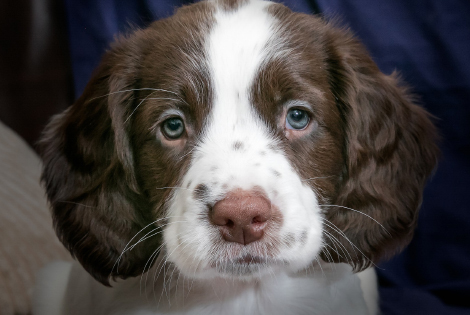 Third party traders enable rogue breeders by distancing puppy buyers from the breeding environment, meaning potential social or health problems are kept hidden from buyers. Long distance transport that often accompanies third-party sales of puppies, including those bred in rural regions of the UK to be sold in cities, as well as the – often illegal – importation from Europe, exposes them to disease and stressful conditions. Families are then often burdened with overcoming health or psychological problems caused by this. Please send a message to the Environment Secretary on my behalf. Please pass on my concerns as someone who wants our nation to live up to its ambition of having the highest standards of animal welfare. Using your own polite words to relay this information will have an even bigger impact. Please forward any replies you receive to Naturewatch Foundation so we can monitor your campaigning progress. Thank you kindly for your help.